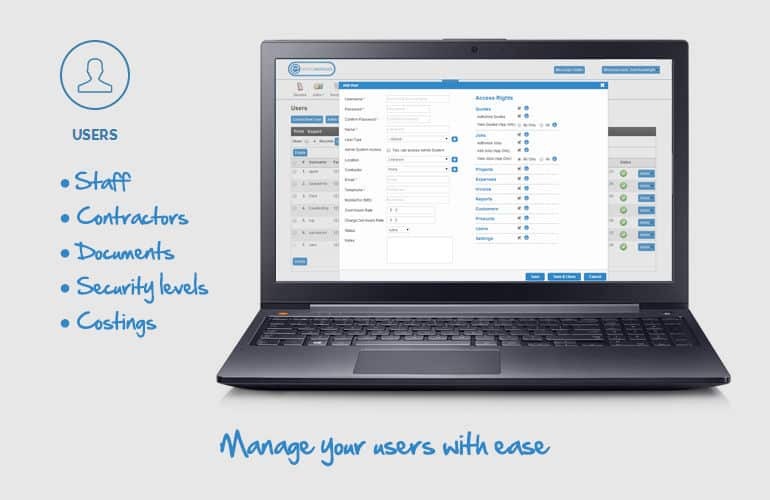 Eworks Manager is the perfect management software to have for your HR department as you can easily manage your employees all within one system. With Eworks, you can conveniently keep in touch with your staff by sending them messages, assign them tasks with our Task Center feature and set Triggers for when a job has been completed! You can manage your staff effectively with our Time Planner feature on the admin system and have a full view on what all your mobile and office staff have planned for the day, so you can plan reactive maintenance and spend more time on your business! With our colour coding, you can easily determine the status of all jobs, for example, Red is cancelled, and Green is completed etc. Also, all jobs that are unassigned appear are on the right-hand side of the Time Planner, so you can easily drag and drop jobs into your mobile worker's planners, which will then be awaiting for them on the mobile App to accept. With our geo map view, you can view where all your workers are and when you receive a job we let you know who is the closest member of staff to go to the appointment. You will then be able to see if this person is available, and then assign them to that job, and if not, you can go to the next nearest field worker. Above is just a handful of reports our system can produce as we also have reports for your customers, quotes, purchase orders and products. If you would like to get in touch and find out more about our Employee Management Software, please feel free to call our office directly or pop us over an email, we would love to chat and book in a free online demonstration of the software!